Richard is a finance professional with expertise in a range of manufacturing, fabrication, inventory management and company management roles. He joins PGT as Chief Financial Officer from Munro Building Services (“Munro”), a UK based Mechanical & Electrical installation and maintenance services company, where he was Head of Finance. Richard qualified as a Chartered Accountant with Deloitte, where he worked on a wide range of manufacturing audits in the UK, US & Canada. He progressed from financial accountant to financial controller and then to head of finance through a series of UK manufacturing companies, including Evans Universal (incinerator fabrication, including flue gas treatment), Demaglass (glass manufacturing) and Muntons and G’s Fresh (food manufacturing), before joining Munro. Within the finance function, Richard has used his experience to transform reporting timeframes for management accounts, implementing just in time inventory management and control procedures, as well as treasury and cash management procedures, along with M&A support. Richard has implemented numerous IT and accounting systems, including full ERP systems. 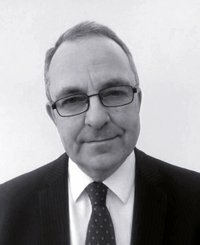 In addition to his financial expertise, Richard has been integrally involved in business planning and strategy, has developed full board reporting/KPI packages in support of this, and reviewed business processes, supply chains and logistics, reducing lead times, freeing up working capital and significantly reducing costs. For 2 years, Richard also acted as COO for a service-oriented technology business and he has obtained an MBA at Henley Business School. Richard graduated in Mathematics at King’s College London and is a Fellow of the Institute of Chartered Accountants in England and Wales. He is fifty-five years old and married with 5 children. Alongside his professional life, he enjoys supporting community activities, volunteering for a year at a school in Belize after qualifying as an auditor with Deloitte, and as a committee member for his Institute of Chartered Accountants’ regional branch.